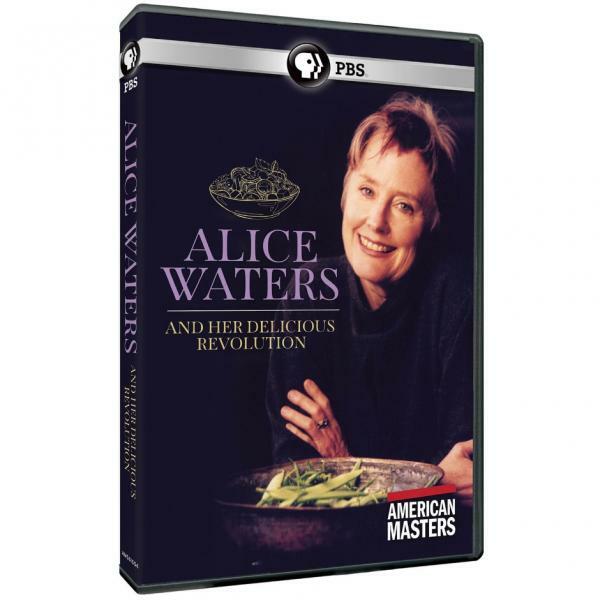 (from pbs.org) Follow Alice Waters (b. April 28, 1944) through a year of seasonal shopping and cooking, and discover both the recipes and vision of an artist and an advocate. She and her now-famous restaurant Chez Panisse became a major force behind the way Americans eat and think about food, launching the explosion of local farmers' markets and redesigned supermarket produce departments. Distressed by the food she saw in public schools, Waters started an organic garden with an integrated curriculum at the Martin Luther King Middle School near her house, an idea inspired by The Garden Project at the San Francisco county jail. The idea of an Edible Schoolyard has now spread across the US - and inspired similar programs worldwide. She is an activist with a flawless palette who has taken her gift for food and turned it into consciousness about the environment and nutrition, and a device for social change. Documentaries After Dark films are not rated, unless otherwise noted, and are intended for adult audiences. Doors open at 6, film begins at 6:30pm. Outside food welcome and light refreshments are provided. For more information, contact Holley at 205.445.1117 or hwesley@bham.lib.al.us.